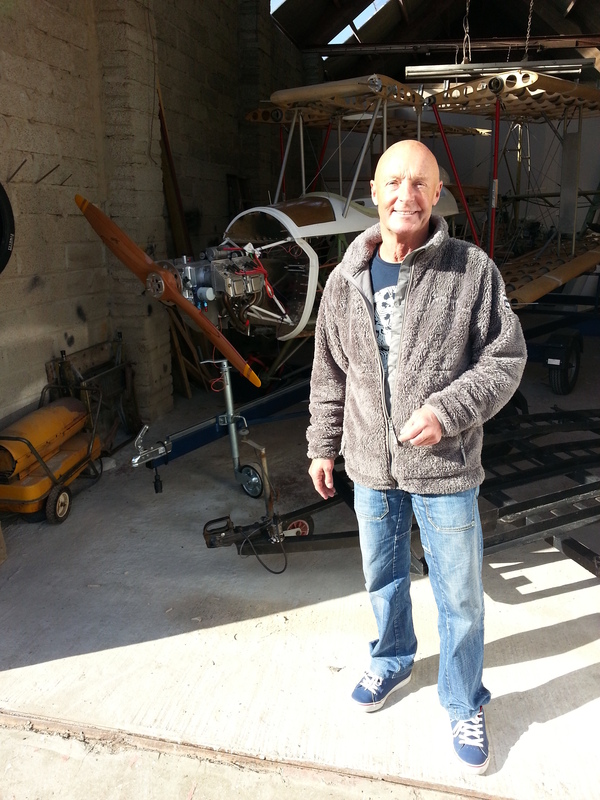 Great sunny hot autumn day in Jersey and next major sign off by Bob Wright our local CAA engineer from Channel Island Aero Services. Bob and I wheeled the trailer out into the sunshine and had a look at all the aspects that needed to be covered. A very successful visit with a few things noted to review. 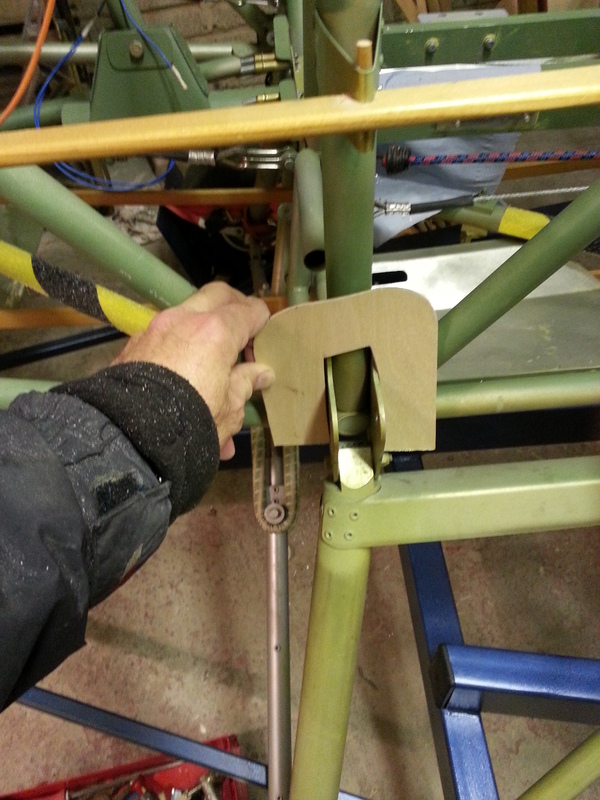 I noted a slight problem with the wing bolt shrouds I had fitted the other evening, now, in the open space I could expand the wings to full width .. only to find that one shroud catches on the lower circumference of the mainspar – so a little trimming will be required. 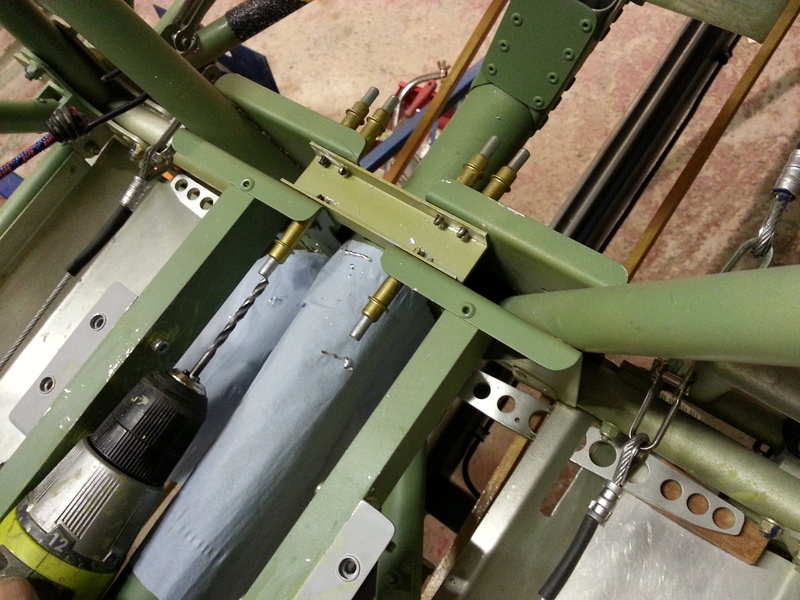 Bob was pleased I had pre treated all internal tubes with waxoyl as other older aircraft get grounded if they have had no treatment and need internal inspection. I will make a note to add to the builders log that they are all done. 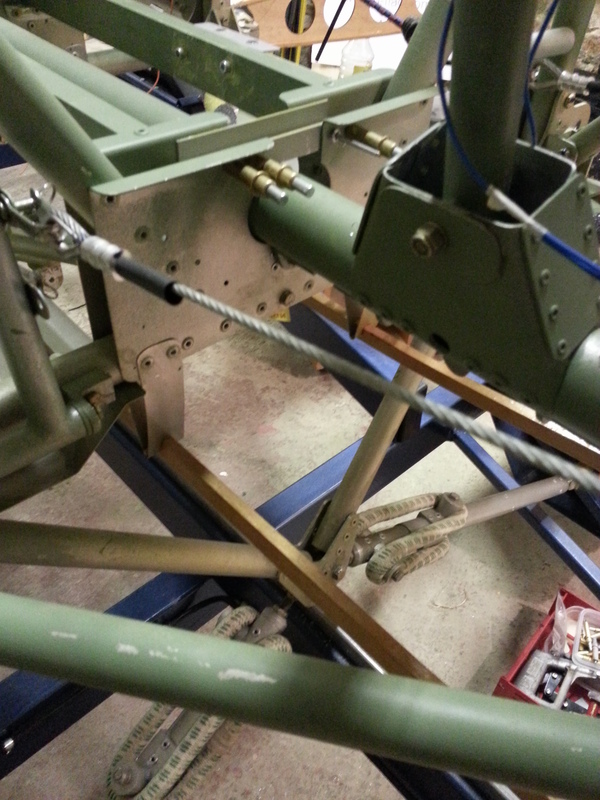 May consider additional internal coating of main spar with an aviation approved anti rust coating. Lots of salt air our here ! 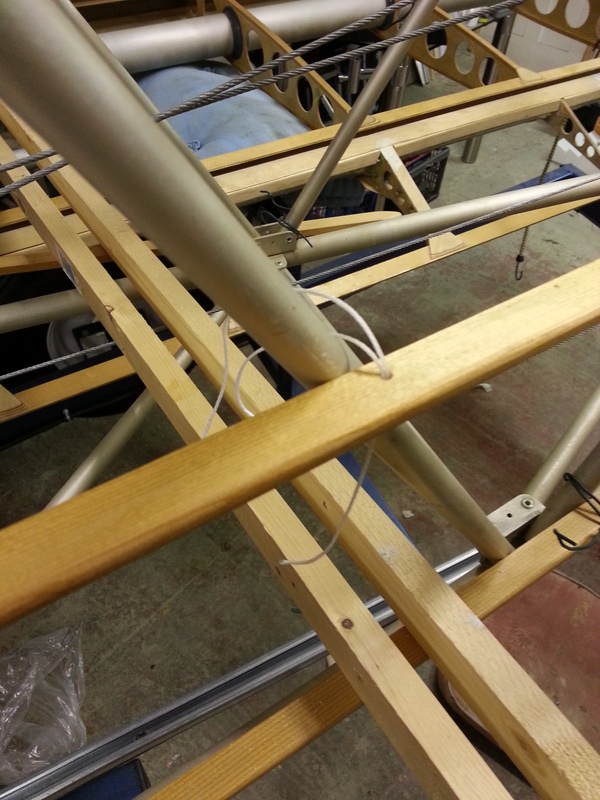 Having pre shaped the shrouds that also act as a guide for the lower wing pegs I braved up ! 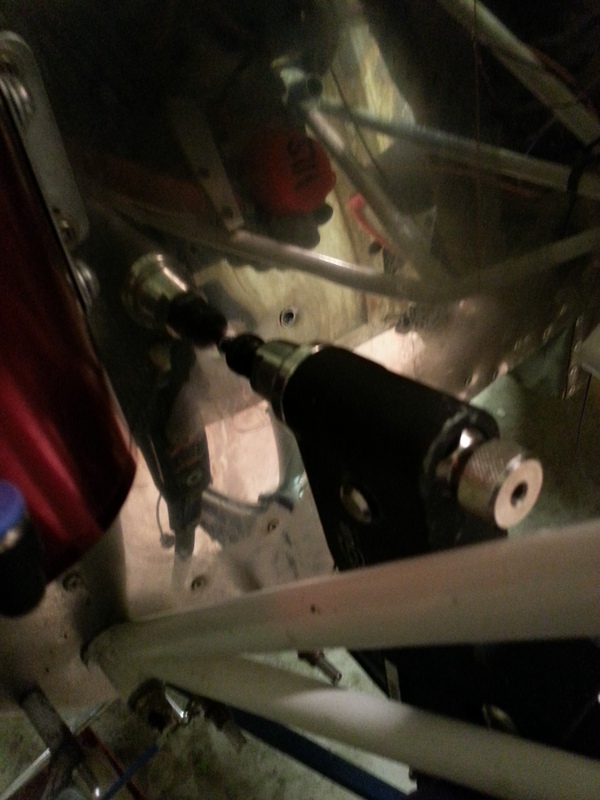 and drilled the spar to fit them last night. Careful drilling – don’t want to mess the spar up. Also, you have to be careful as to where the rivet will go, there are large doubler brackets inside the spar that you need to miss ! Nice job last night .. got around to removing the clumps of garden wire that had been holding the stringers roughly in place and replaced with new thicker grade whipping chord. Holes were drilled in the stringers so that the tying of the chord wouldn’t protrude over the outside edge of the wood strips as this would be seen through the covering once added. 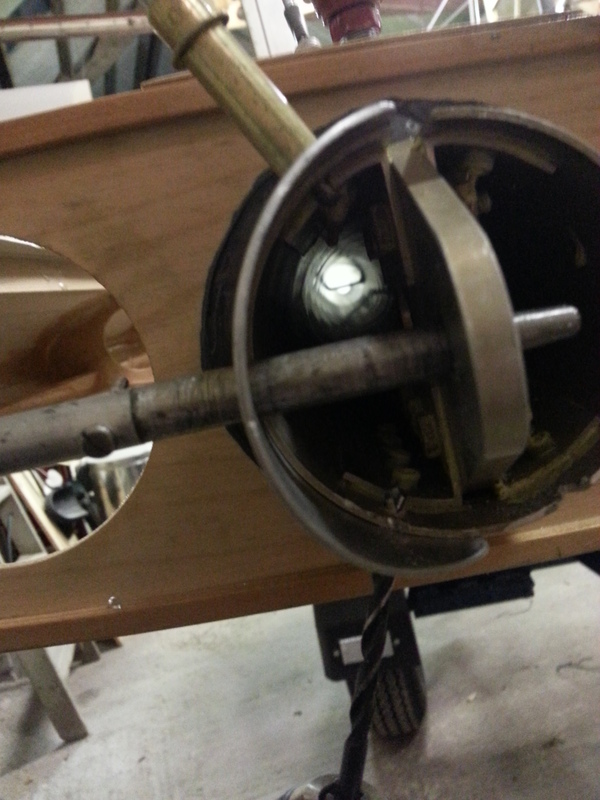 Having pre shaped the gascolator bracket and rounded the edges off, I had pre marked the bulkhead for its location so that it was close to the line of the fuel cut off valve (situated on the starboard nose side) and low enough to keep it away from key electrical parts if anything went wrong. There had been a slight delay as the Rivnut gun had sheared its mandrill on the 3rd hole used ! Tools Plus in St Peter, Jersey did an amazing job and spotted that it could probably be replaced by another manufacturers part – perfect ! £4 and back on the road ! Then brought gascolator in …. 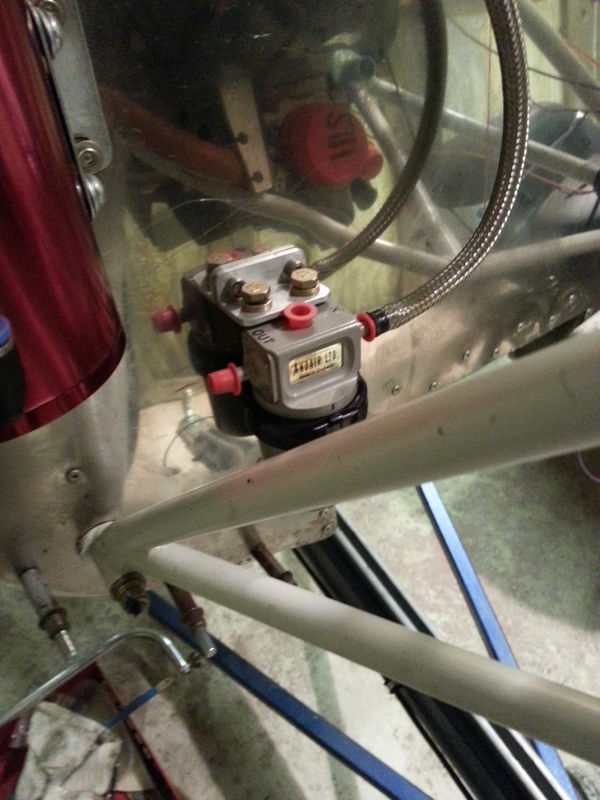 Next step, where best to run the fuel lines … ‘IN’ being towards the centre of the firewall, ‘OUT’ being towards the outer edge and nicely positioned for the connection to the carb. 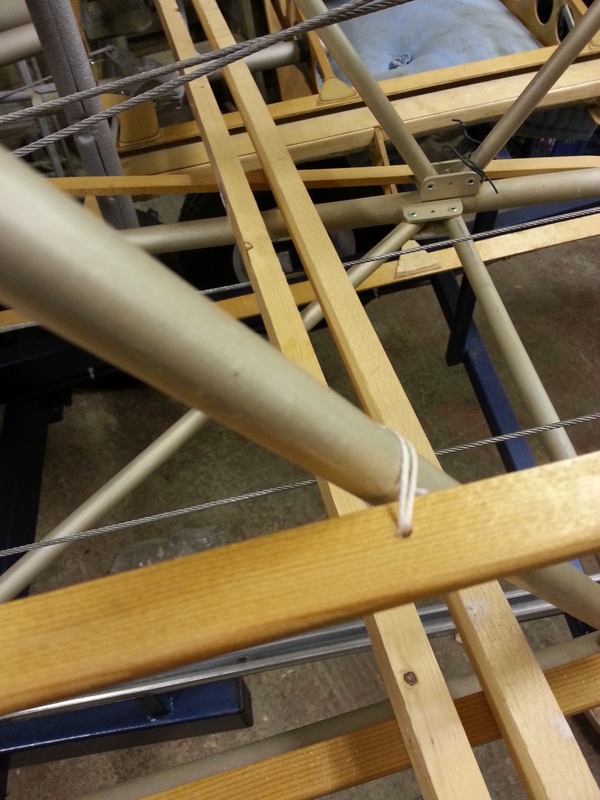 Big night last night – as I finally got around to connecting the rudder. 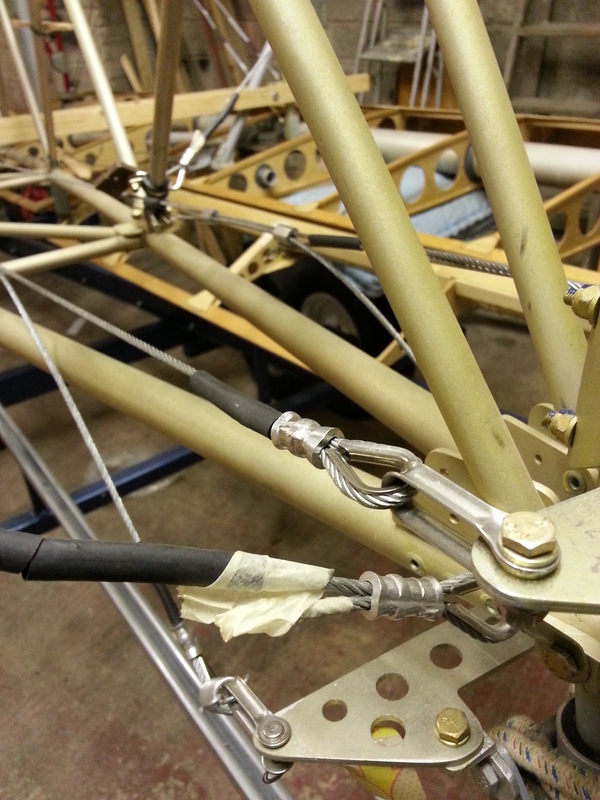 The cables were set in the aircraft some time ago but I had left as I wanted to double check the splicing of the steerable tailwheel. 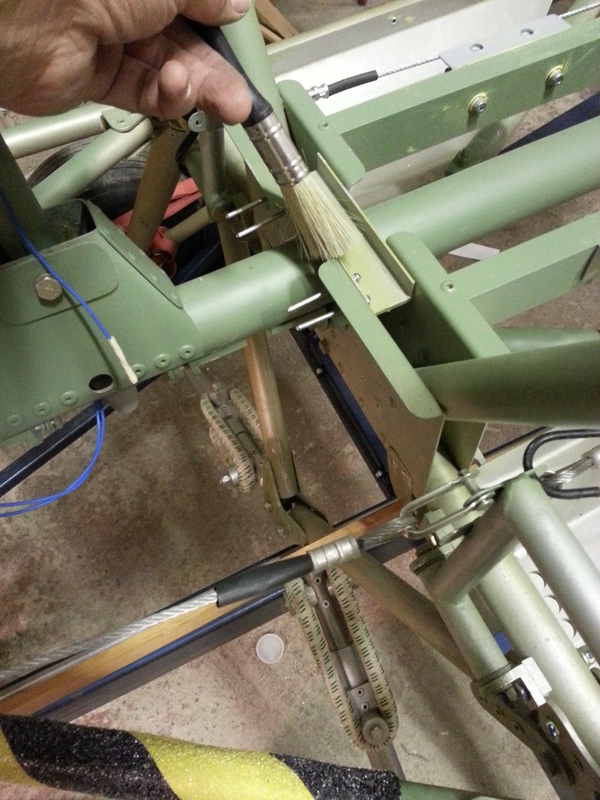 With the correct number of ferrules in place before swaging I set the rudder pedals in the neutral position and pulled the cable taught through its paxolin running guides. The operation of it was fairly smooth although I think it could move a little more freely. I suspect its the pedals that are a little tight, although I greased them I think the pinch bolt may be one turn to tight. 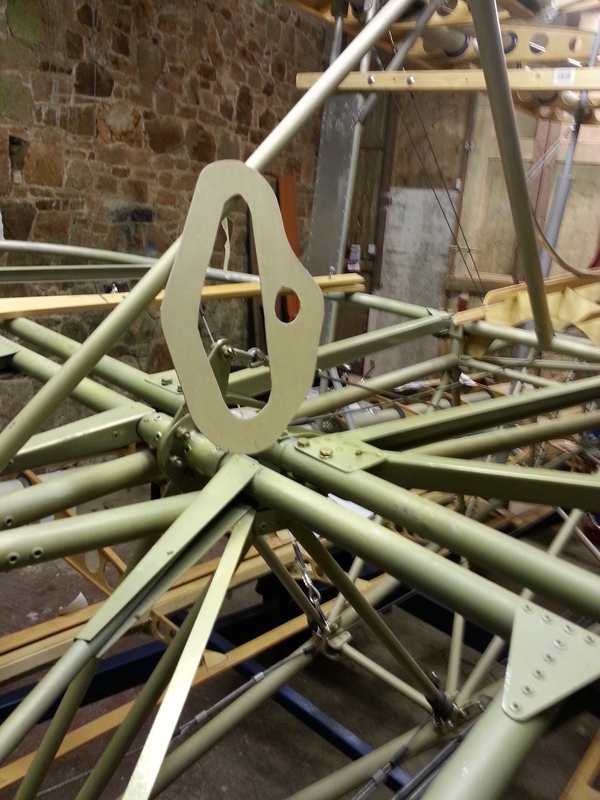 This weekend I plan to get the ‘plane out of the barn – weather permitting and get her fully levelled outside with wings open. I have not been happy with the starboard wing rigging as the wing is sitting slightly low on the trailer when folded. Its a fraction of a degree but I cant seem to adjust with the rigging and having fought slackening and tightening, Mike, my engineer and I, realised that one of the rigging wires may be a fraction too short. Ordered more cable and ferrules and plan to re-manufacture and new cable to help getting it right. Last night was a very blustery evening in Jersey with the remnants of the US hurricane giving us a F8 most of the day and F9 at some stages… cancelled my hop from Jersey to Guernsey and Cherbourg and then back … have been in the circuit at Guernsey before with a 50 knot headwind and boy is it slow .. then they tell you to turn downwind … once you top 150+ ground speed it makes the base leg turn an interesting juggle ! Anyway, last night was a predominantly wooden evening – getting all the material landing plates template and then onto the ply and then cut out and sanded. Becks – our new temp assistant at work kindly did the cutting out of the templates for me – takes a nice steady hand – thanks Becks ! 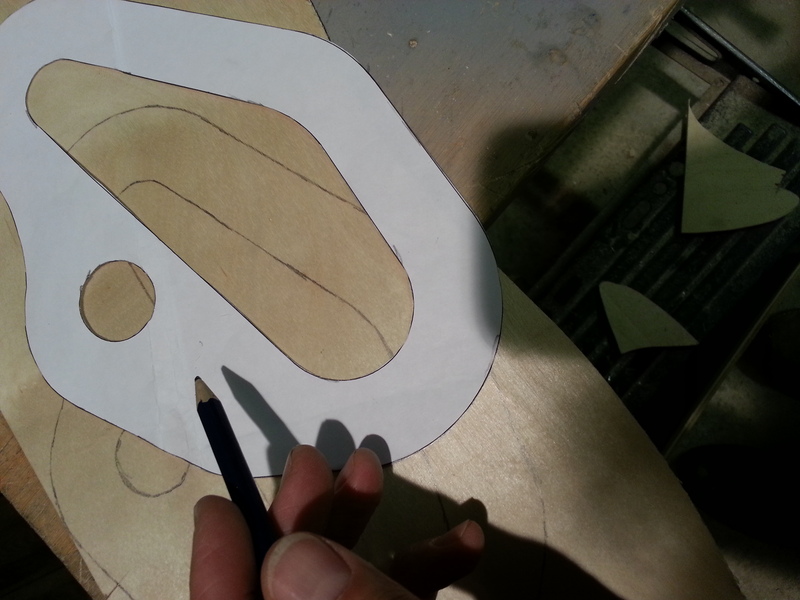 All marked onto the 1.5 mm ply and cut, trimmed and sanded. 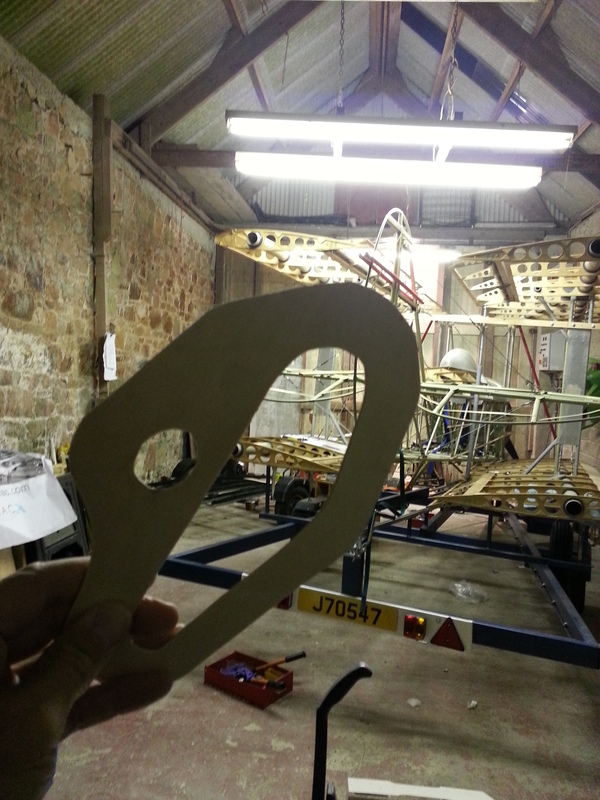 Just need my 1/2″ balsa packing to arrive then I can get onto the fuselage. 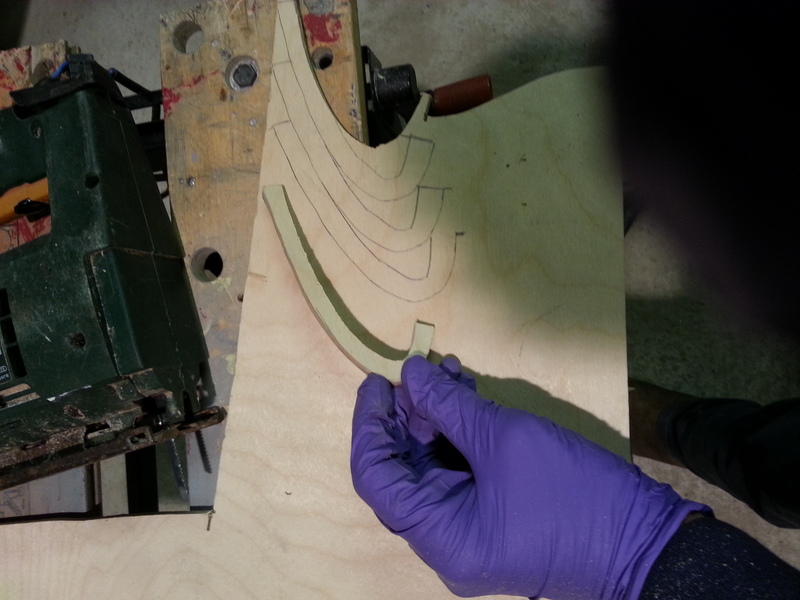 I also created 8 leading edge gussets for the wings (root and tip) from 6mm ply. This is in readiness for the aluminium root fairing that will eventually cover most of this area. Part of the problem, living on an island .. you cant get balsa ! – shipping that massively heavy weight of 4 lengths of 4″ wide x 36″ (cost of wood £9) .. cost of shipping £30 !! .. Cost of an Easyjet ticket to Southend – £29 …. the world has gone mad ! Anyway – shipped to my son in Oxford so hope to get a sensible shipping cost and the wood shortly. One thing that has been outstanding for a while , and I cant really rivet in until my next inspection has been signed off is the torque capping brace brackets. You can see that I added a piece of covering paper roll to catch as much of the swarfe as possible and then, as my engineer guru noted one time, a brush on hand to get rid of the bits as soon as you have drilled the part. 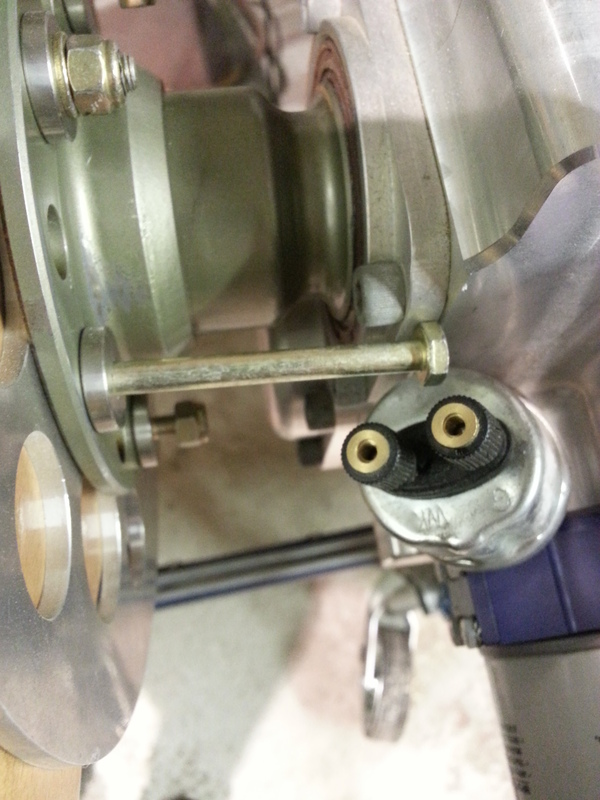 Not good to have these bits floating around control fittings. 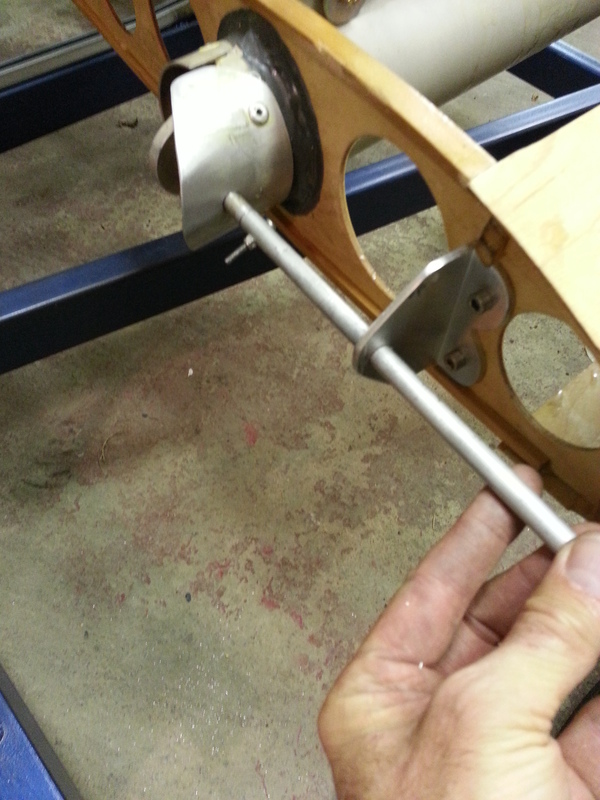 These are quite awkward to drill with everything else in situ and you need to make sure its seated in a suitable position to allow the rivets to come through at the right level. Checked the Jabiru manual and realised my temporary fir of prop bolts were the wrong way around ie hex head pushed in from the front leaving the nylocs on the rear ! Very slowly turning the prop to reveal each successive hole (the engine still only has delivery oil in it so need to be careful until we get some proper oil in)… on the 3rd bolt there was a huge pop as an upgoing piston pushed air out and one of the exhaust stack bungs travelled the full length of the barn !